Did you hear? Our dear ol' Steven Lim got prank called to the verge of insanity yesterday (judging from his stressed out and very scary picture in his FB profile) and as a retaliation, he actually called the police to lodge a report. And as if that is not drama enough, Dee Kosh actually followed up with another video poking fun at poor Steven Lim. 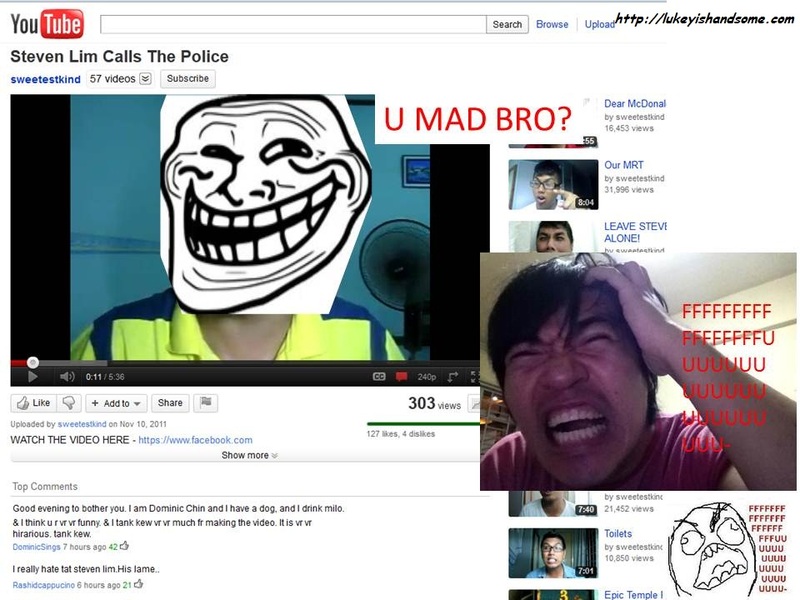 Is it me, or did Steven Lim just got trolled again? Though I am very tempted to write an entire blog post about this, I shan't. Because today is a special day and I shall refrain from laughing at people who love to shoot themselves in the feet because I might end up with hate comments again. So lets talk about today, shall we? 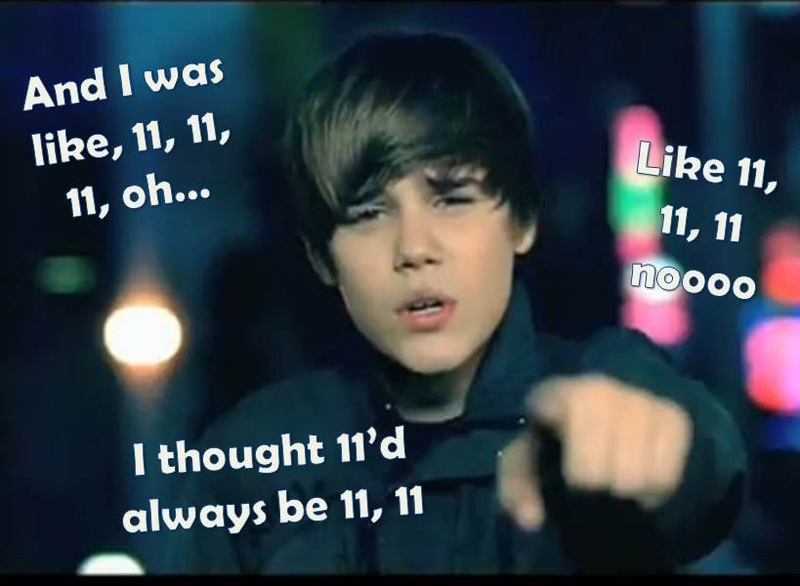 As you all ,ay now from the abundance of Facebook status updates and tweets, many people are getting hyped up about today because of the significance of the date today, 11.11.11. It's not surprising because after all, we humans love novelty and we love to give special meanings to things that would otherwise seem normal. It's human nature. As for me, today is just another normal day for me aside from the rain that is falling outside my window right now. There's no opening of the heavens, no increased sense of luck, I'm still handsome as ever and I still need to study or else I would fail my exams. Normal, normal day. But for those of you who wants to join in the fun for an event that happens only once in every 100 years, you can! After all, a little break from routine would be great to de-stress and refocus. And as a special for today's blog post, yours truthfully here has prepared a rough guide on what you can do on this auspicious date itself. 11 to do things! 1. Watch the horror movie 11/11/11 that will be premiering today worldwide about how today's date is just not any date, it's a date of horror. Spend the rest of today being totally scared of what is being predicted in the movie and totally regret your choice of watching a movie that predicts doom on today itself. And do bring a bible along. 2. Join in the thousands of people worldwide that are predicting that today is the end of the world. Make a banner or a sign card with the message "Repent as today is the end of the world!" and carry it in crowded places like Orchard road while wearing a sackcloth and shouting for passersby to repent and to be prepared. Yeah, we know that the last prediction on October 21 did not come true, but that was a miscalculation as 21/10/11 is not a good date. 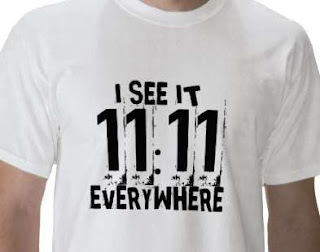 11/11/11 is. 3. Looking for some avenue to fame? Then today is the special day! Record yourself singing any song, with all the lyrics changed to only 11, for 11 minutes and 11 seconds. Then upload it on Youtube and share the video 11 times today on your Twitter and Facebook. Who knows? You might just be the next Justin B11eber! The new hit single, Bab11!! 4. Watch Ocean 11, precisely at 11.11pm tonight for 11 times. I mean George Clooney, Brad Pitt and Julia Roberts? I can watch them for 20 times straight man. 5. At 11.11pm tonight, go out, stare at the moon and pretend to meditate. As how some people puts it, 11/11/11 holds a special resonance in our human souls and we should all gather to experience an awakening in our souls on this special day today. And while doing that, please remember to bring a good amount of mosquito spray and insect repellant. 6. Feeling lucky? What better way to make use of this day than to use it to strike it rich? The same procedure, at precisely 11.11pm tonight, go to the Toto or 4D office on the 11th street with the unit number 11, walk up straight to the 11th counter and bet 1111 dollars on the number 1111. You might just hit the jackpot of 11 million dollars. Provided that the rest of the people do not buy the same number as you. Time to get lucky today! 7. Prank call Steven Lim 11 times. See how he make another video of calling the police and laugh. 8. If you're a socialite creature and you love to party, 11/11/11 is totally the reason to celebrate! Organize a party that lasts for 11 hours, 11 minutes and 11 seconds with 11 different types of alcohol and 11 DJs for everyone and party til you drop. 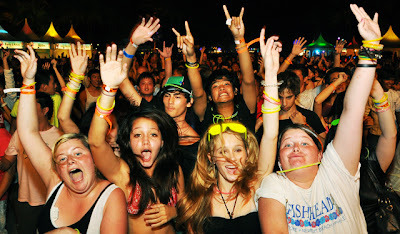 It's an great chance to meet new people and to have fun at the same time. After the party, sleep for 11 hours and have a hangover for another 11 hours. 9. Have a drama/anime/cartoon marathon. Make a list of all the drama series, anime and cartoon that you like to watch and then watch the 11th episode of everything in the list at one go. Remember to ask your friends to join in the fun, pack loads of food and drinks to keep the awesomeness going. Remember, only the 11th episode! 10. Be random with the number 11. See a bus with the number 11? Hop on it and see where it takes you. Going to a restaurant for dinner? Flip to page 11 on the menu and order the 11th item. Who knows what surprise that might await you when you're being randomly 11? 11. And most importantly, spend it with family and friends. No matter what you're doing, it isn't much fun when you're doing it alone and ultimately, it's who are you spending the time with that matters. Even if the world does end today, you can have no regrets because you have given your time to the people you treasure the most. So yeap, there's a rough guide on how you can make the fullest use of a day that is so special like today. And even if you do miss it, don't worry! There's still 20.11.2011 coming up in 9 days and also 12.12.12 next year. And here's Lukey wishing you a Happy Triple 11!